Sophie is a twenty-five-year-old English teacher. She is currently working at United English School in Zhenjiang, China. She has worked at this school for the past two years and has renewed her contract for a third and final year. In 2013 she graduated with first class honours in Media Studies at Teesside University. Prior to Sophie’s graduation she completed an internship with Tina Gharavi at Bridge and Tunnel Productions. A short while after her graduation her radio play, Out on Top, was performed by Slung Low theatre group. 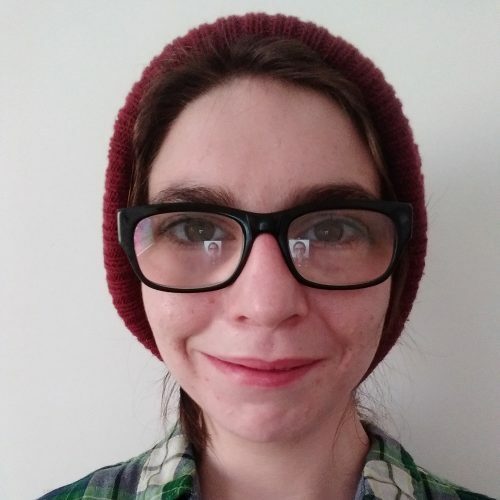 In 2014 Sophie wrote, produced, and, edited an anthology series of plays, titled, From the Beyond, which were broadcast on Basic.fm. During this time she also completed an internship with Third Films. From 2014 to 2016 she contributed several articles for Cuckoo Review and authored some articles for The Student Journals, each of these were paired with constructive criticisms of her writing. Since 2016 Sophie has been working on her novel The Ivory Refuge. She has recently started a blog examining her native Geordie dialect.